Founder of the Miami Cigar Company in 1989, Nestor Miranda has been producing excellent cigars with superb flavor day in, and day out. The Nestor Miranda Cigar Collection is a must-have in the cigar aficionado and connoisseurs collection, if there ever is one. Featuring the Art Deco, Dominicano, and Special Selection, this collection was a product from the collaboration of Nestor Miranda and Pepin Garcia, two giants in the cigar industry. 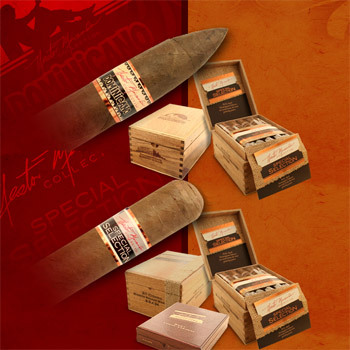 The Nestor Miranda Collection features either a Rosado wrapper, known for its creamy smoothness and hints of pepper, or features an Oscuro wrapper, known for its spicy taste with tones of chocolate and coffee. Overall, the cigar is medium bodied, with a Nicaraguan binder and a filler blend from Honduras and Nicaragua.